The amazing photo above shows last Sunday's solar eclipse. It was taken by astronomer James C Wallace II, who has previously shot loads of lovely photos of the moon, planets and sun and kindly allowed me to post them on my blog. James said about his eclipse photo: "This was taken about 8 minutes before horizon contact. 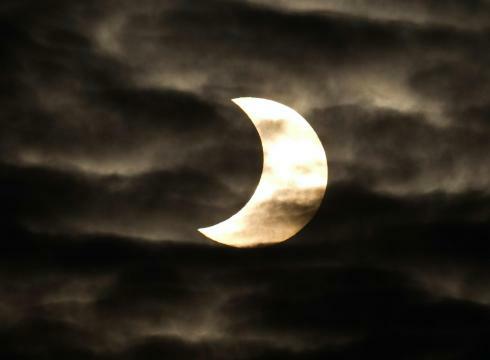 It looks black and white because of the cloud cover and solar filter."